Time Inc. is betting big on digital-only brands. After launching home site The Snug and beauty site Mimi earlier this year, the company is set to unveil another brand new digital vertical, The Drive, this fall. 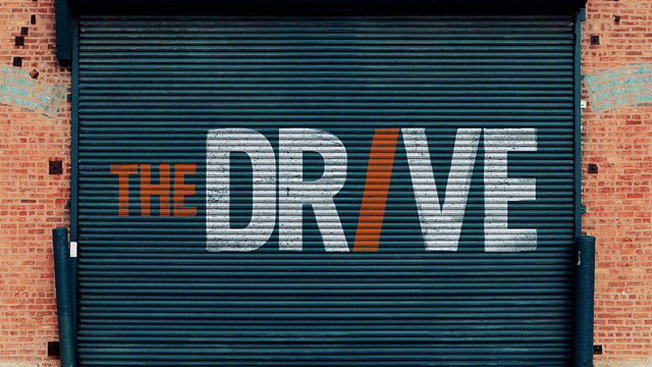 And while The Snug and Mimi focus mainly on curating content from Time Inc. brands and other outside blogs, The Drive will be its own full-fledged editorial enterprise—and the publisher's first foray into the automotive space. The Drive will target the under-35 crowd, many of who are newcomers to car culture. It's an increasingly valuable market for automakers, and according to Time Inc.'s svp of digital innovation, Matt Bean, an underserved one. "There was an apocryphal marketing notion that millennials didn't want cars because they were all about experiences and not tangible, owned things like cars. Well, that's begun to change," he explained. "A lot of auto marketers have started going after a younger audience. They're aware that they need to own those audiences now because they're going to be the buyers of the $70,000 cars in 10 years." To lead The Drive, Bean brought in former Maxim digital director (and longtime automotive journalist) Mike Guy as editor, and former Road & Track and Esquire general manager Eric Goeres as gm. "These are car guys through and through, but they can also plug into the lifestyle approach to things," said Bean. "I like to say that this is a brand that's not just about what happens in the garage or on the track. It's about the culture around cars as well." The lifestyle angle means that The Drive will fit nicely into Time Inc.'s larger strategy of fostering collaboration among brands. For instance, said Bean, the site might partner with Food + Wine or Travel + Leisure on a road trip package, or link up with Sports Illustrated on a story about athletes and their cars. On the advertising side, The Drive is taking full advantage of Time Inc.'s existing corporate ad sales teams in Detroit, which are currently working to lock down launch sponsors for the new site. While The Drive is Time Inc.'s first car brand, its greater strategic importance within the company is as the template that future digital-only verticals from Bean's Digital Innovation Group will be built upon. "If you look at a publisher like Vox or Gawker, they're leveraging the same back end so they don't have a lengthy development cycle when they want to get a new brand up and running," said Bean. "We're planning to leverage a common infrastructure so that we're not rebuilding the wheel each time we launch one of these [new verticals]." Indeed, Bean seems to be modeling the Digital Innovation Group as a new-media company along the lines of the aforementioned publishers more than as a division of an old-media publisher, describing it as "a startup surrounded by the world's best brands." That digital startup mentality will be further cultivated if the group moves to fancy new Brooklyn digs complete with "indoor slides and pinball machines" later this year, as reported by the New York Post, rather than following the rest of Time Inc. to the Financial District. While Bean wouldn't comment on any moving plans, he did hint, "This is a website and brand that's about cars, and cars are large, and sometimes they're messy and loud, so that thinking has certainly gone into where, physically, we will locate our operation."